Since 1955, Gerald Jones Company has been providing premier home improvement services to customers across Chapel Hill, NC and beyond. We pride ourselves in the fact that we get the job done on time, every time, no matter the home improvement project. We keep your budget and schedule in mind and transform your property into the home of your dreams. With only one phone call, our Chapel Hill home improvement professionals will set up an appointment to meet with you to discuss your home remodeling project. Contact us today for a free, no-obligation estimate on any of our services! Whether you are looking to add brand-new gutters to your roof or install energy-efficient windows to save money on your utility bills, you will find no better home improvement contractors for the job than those at Gerald Jones Company. 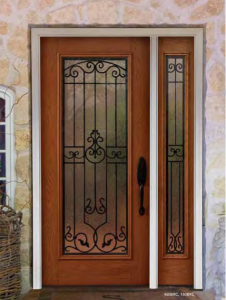 From turning your backyard into a livable space with a new patio or adding storm doors to your home, you can rely on the home improvement experts at Gerald Jones to get the job done right. We bring decades of home remodeling experience to every job we complete. Please don’t hesitate to contact us for a free, in-home estimate today! Along with Chapel Hill, Gerald Jones Company is proud to provide home remodeling services to clients in Hillsborough, Cary, Apex, Morrisville, Raleigh, North Raleigh, Durham, Mebane, Carrboro, Roxboro, Creedmoor, and beyond.